On January 7th, 2009, Alfreedia Gregg-Glover of Manassas, Virginia, reported that her 13-year-old adopted daughter, Alexis ("Lexie") Agyepong-Glover was missing. The story Gregg-Glover gave the police was that Lexis had run away from her when they were visiting a library. Two days later, after a large man hunt, Alexis was found dead in a small, shallow river. A medical examiner determined that the horrific cause of the girl's death was hypothermia and drowning. Initially charged with making a false police report and felony child abuse, Gregg-Glover later faced a first degree murder charge. Alexis had been diagnosed with autism and some sort of developmental disability. But Alexis' therapists disagreed with those diagnoses. Tamara Walker and Julie Greenlee at For Children's Sake, a short-term residential treatment center, claimed Alexis's only problem was "Reactive Attachment Disorder." While Lexis repeatedly reached out again and again for help, telling people that her mother was trying to kill her, each time social services and the police returned her to the Gregg-Glover home. Various people in the community also reported child abuse to the authorities, to no avail. Two school bus drivers told authorities that they saw Gregg-Glover drive away after putting Alexis in the trunk of her car. They also said that Gregg-Glover would film Alexis, dressed only in her underwear, getting onto the school bus. They noted wounds on the girls wrists, suggestive of restraint. One neighbor said he saw Alexis hungry, unclothed, and fearful of her mother. He claimed, "She said her mother made her earn her clothes." A local TV station gave this chilling report, highly suggestive of Attachment Therapy parenting: "To help her bond with her mother, the therapists say the lead counselor allowed the mother to withhold basic necessities, such as food, clothing and use of the bathroom." Eileen King, a spokesman for Justice for Children believed that it seemed there was a "regime of cruel and unusual punishment against the child." One senior child welfare worker has been fired, with two others disciplined for failure to rescue Alexis, despite multiple reports of abuse. No disciplinary action against the therapists has been reported in the press. We are a foster care agency. We have children with RAD but do not have reading lists that we can send outŠ.The only books that I am aware of about RAD are "When Love is Not Enough" by Nancy Thomas and "Can this Child be Saved" by Foster Cline, I have not read either so I cannot speak to how good they are. But I do know some foster parents who have read them and said they had decent information in them. “Police Launch Search For Disabled 13-Year-Old,” The Washington Post, 8 Jan 2009. “A medical examiner has now ruled 13-year-old Alexis Glover's death a homicide,” Today’s News NJ, Feb 27, 2009. 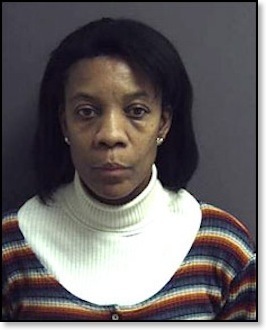 “Outrage over handling of Alexis Glover case,” WUSA9, 10 Mar 2009. “13-year-old’s murder prompts inquiry into social services,” Daily Press, 19 Jun 2009. “Gregg-Glover competent to stand trial,” by Amanda Steward, Inside Nova, 12 Jun 2009. “The Alexis Glover murder: yet another pseudoscientific ‘Attachment Disorder’ diagnosis and Attachment Therapy case,” Stop Child Torture, 15 Mar 2009. “Social workers, strangers honor Alexis Glover,” by Keith Walker, Inside Nova, 9 Feb 2009. “Mother pleads guilty,” by Jonathan Mummolo, The Washington Post, 7 Jul 2009.